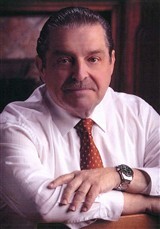 A 2015 recipient of a Lifetime Achievement Award for his excellence and expertise in the field of law, Ronald Tobia is highly regarded in the Harrison, N.J., area for providing legal services in labor management relations, arbitration management litigation, employment law, and corporate commercial law. Additionally, he takes on matters of ERISA litigation, EEO and affirmative action compliance, and PIP arbitration. Because of his broad experience in management and labor relations, Mr. Tobia is frequently called upon by trade organizations to conduct seminars on labor relations issues. He is affiliated with a number of professional organizations such as the ABA, the American Arbitration Association, the New Jersey State Bar Association, and The Florida Bar.